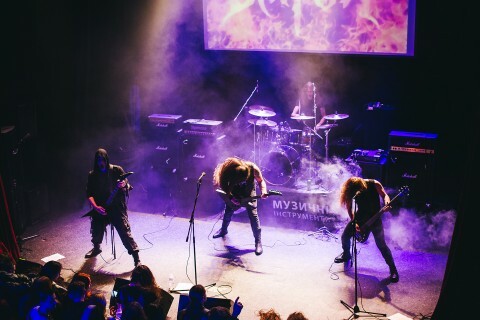 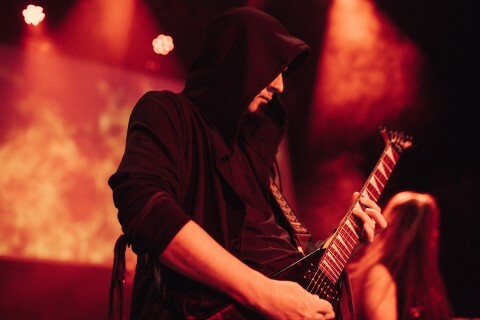 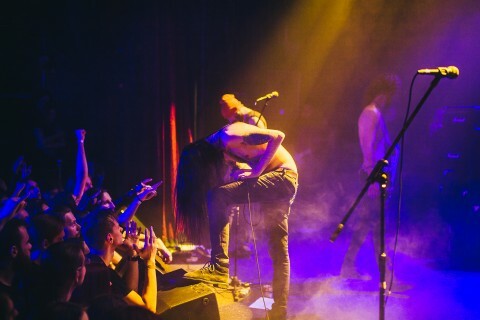 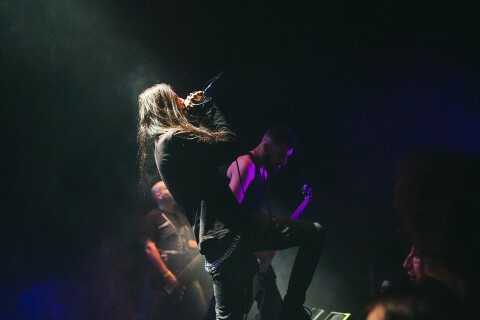 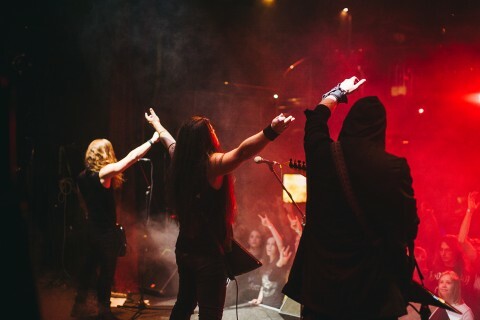 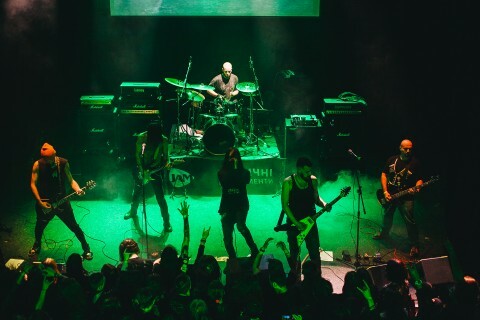 After a successful start at the beginning of the year, the Ashen Dominion festival returned to the Kyiv club MonteRay once again. 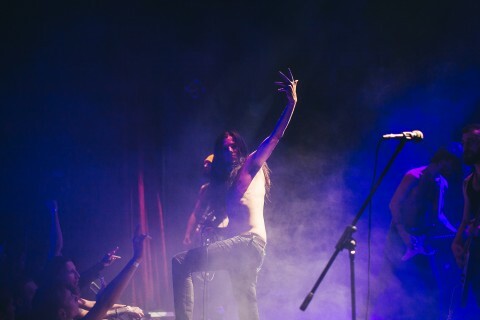 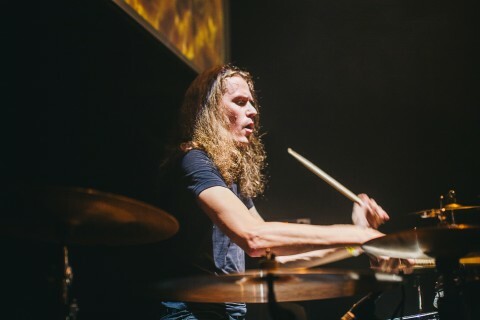 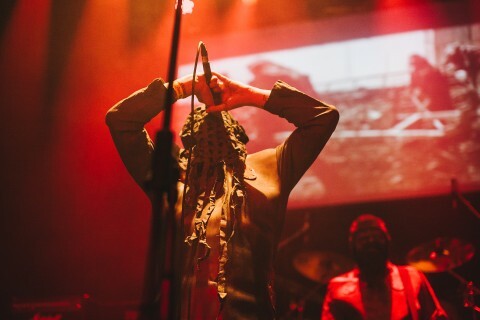 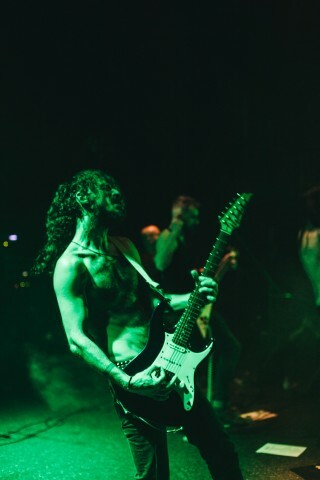 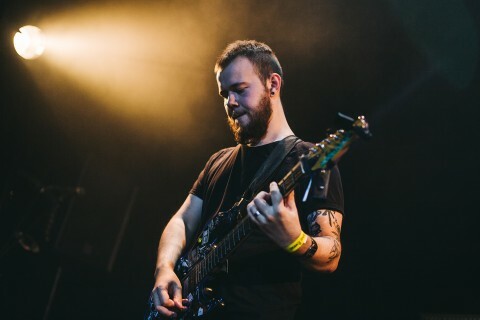 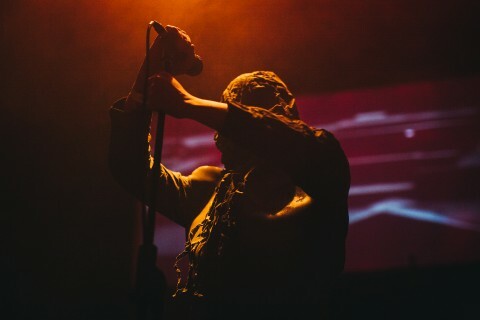 The second event of the Kharkiv-based label took place on October 13, featuring such bands as Galdur, Balfor, Nödutgång:Självmord, KZOHH, and headliners Psychonaut 4. 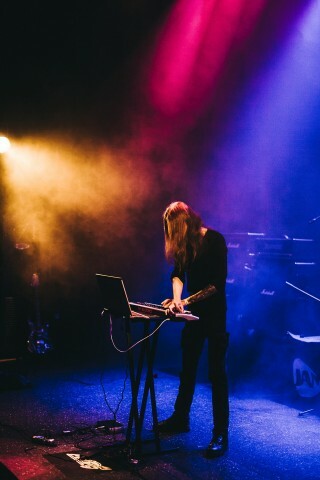 The evening was opened by the ambient project Galdur of the Dnipro-based musician Severoth. 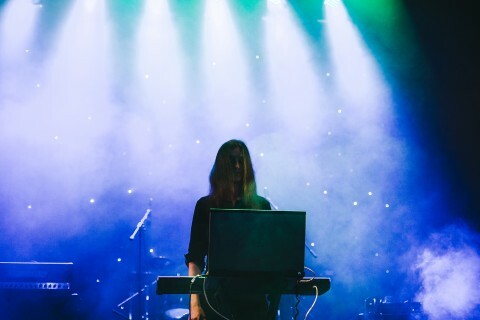 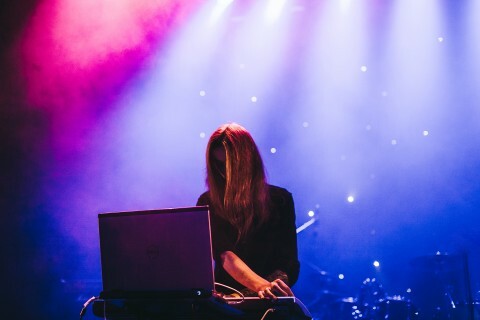 His set did not differ much — the musician stood on the stage for 30 minutes of almost non-stop performance, occasionally pressing the keys of the synthesizer connected to the computer. 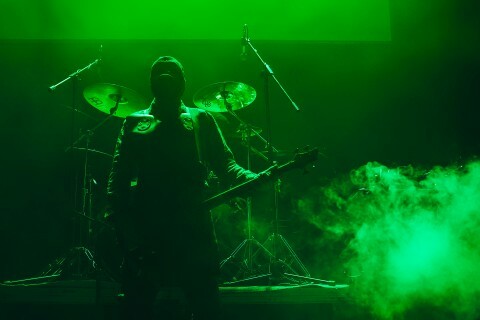 The set was very strangely interrupted (according to the musician’s post on Facebook, it happened 2 minutes before its end) by the club’s administration, which for some reason dropped the curtain right in front of the artist before the scheduled end. 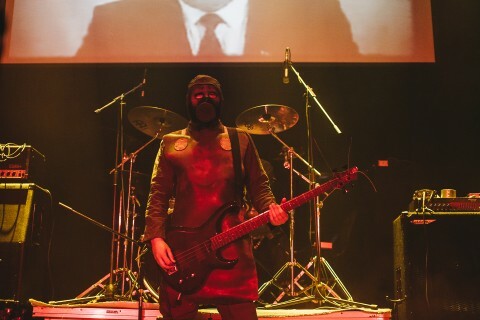 The next band up (after a short break) was the Poltava’s outfit Nödutgång:Självmord, whose performance was a pleasant surprise for me. 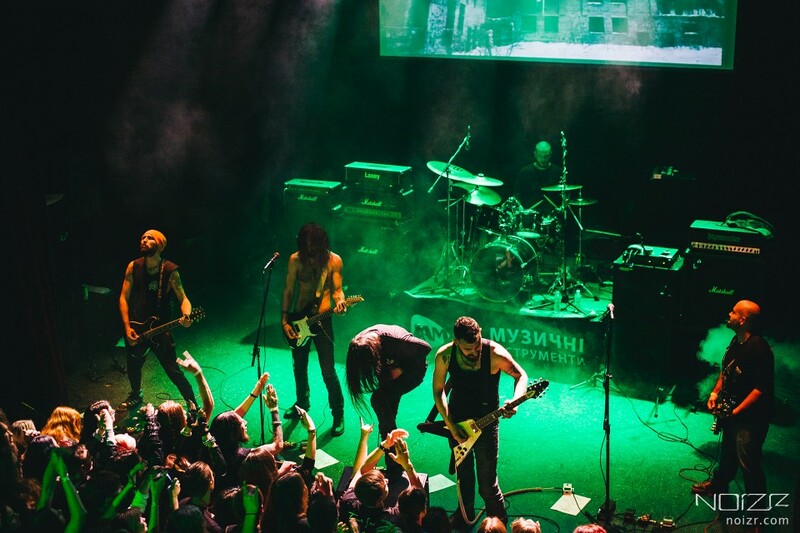 I first saw this group in 2013 at the VIA Sinistra festival in Kharkiv, at that time their show seemed pretty boring to me. 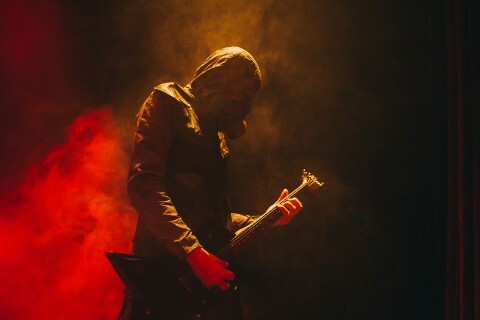 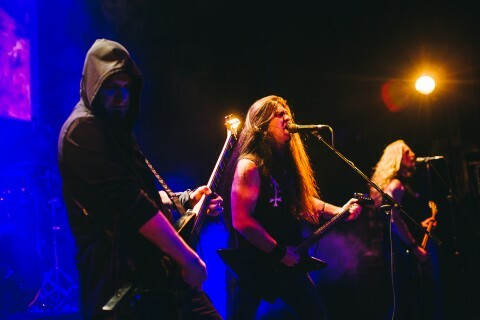 Subsequent gigs of the band also did not produce any particular emotional response in me, but at the recent show in Kyiv Nödutgång:Självmord’s put their best foot forward. 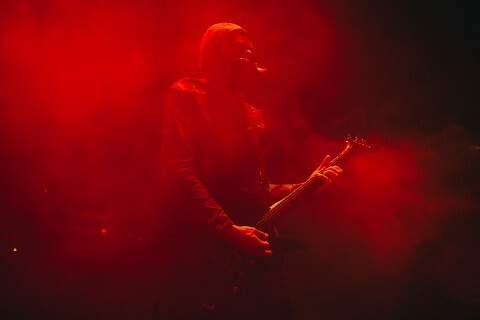 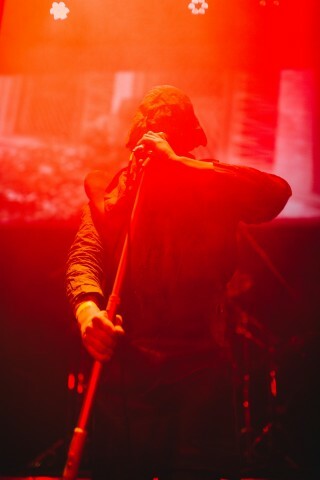 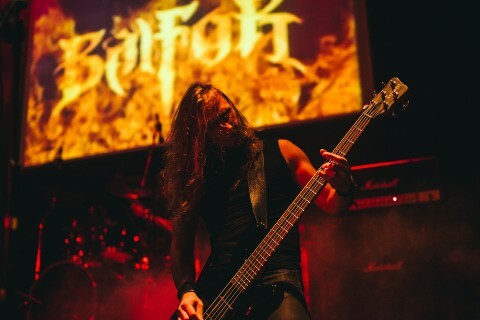 In addition to the performing level, which has grown thanks to their concert experience, the skills of the vocalist/bassist Nagifar as the frontman of the group have significantly improved. 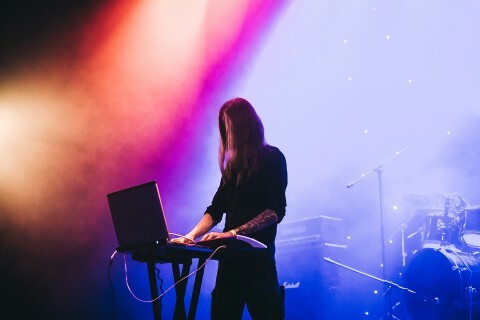 The musician behaved very relaxed and freely, constantly trying to interact with the public, encouraging people to respond actively to what was happening. 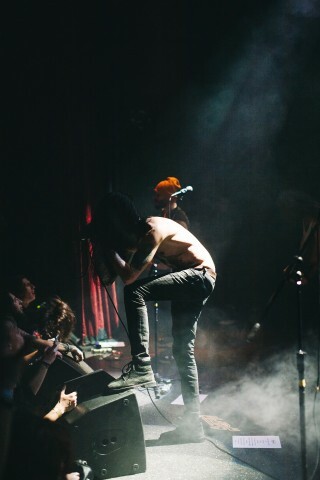 At one point, he even jumped off the stage and continued to sing directly in the fan zone, being surrounded by a tight ring of spectators. 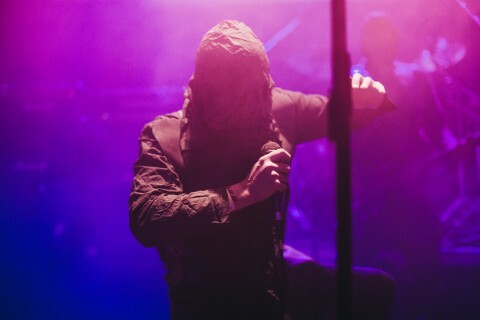 Aforesaid approach helped to make the performance of Nödutgång:Självmord pretty intense and a memorable show, due to which the group has definitely opened up the chance to become a new headliner of such events. 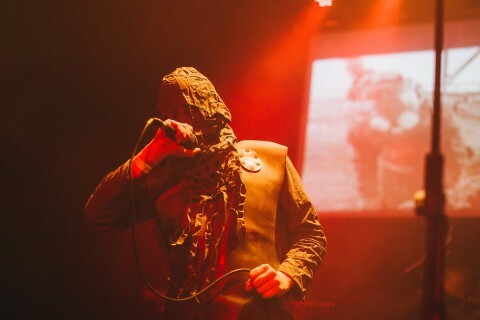 The performance of KZOHH, whose work is dedicated to various dreadful events in human history, also became a great addition to the program of the evening. 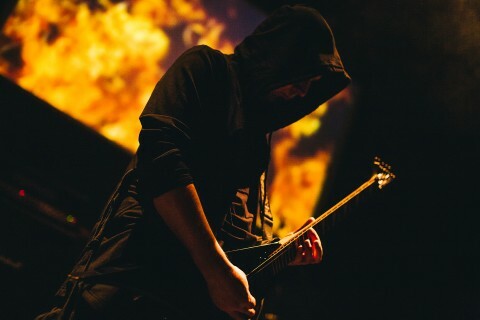 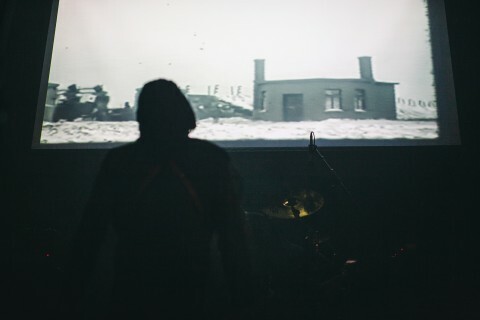 The musicians played 51°23'20"N,30°6'38"E track dedicated to the Chernobyl tragedy, and the song "Maruta" about the Japanese Unit 731, which conducted inhuman experiments during the Second World War. 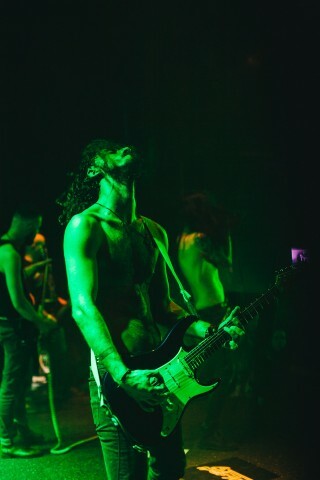 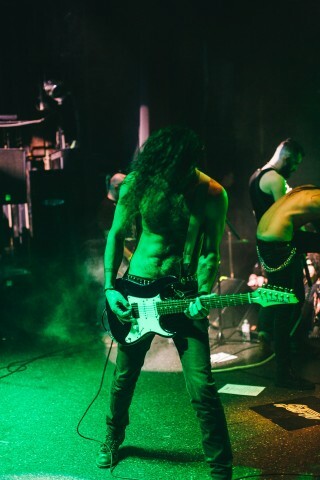 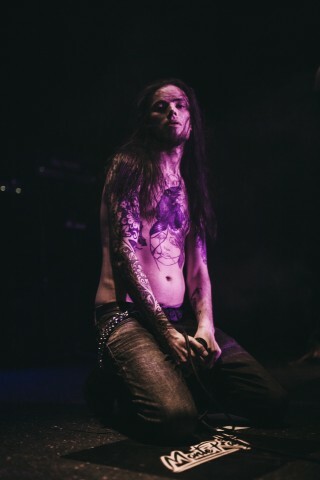 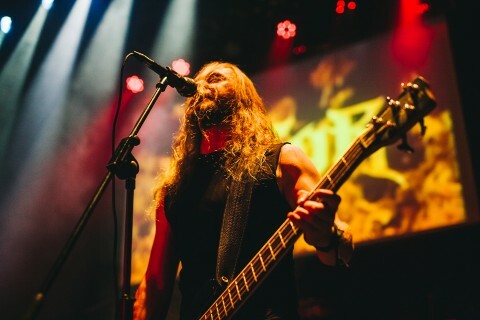 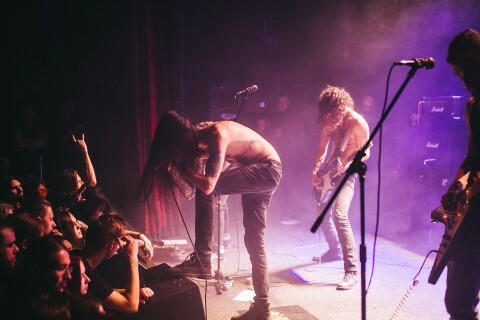 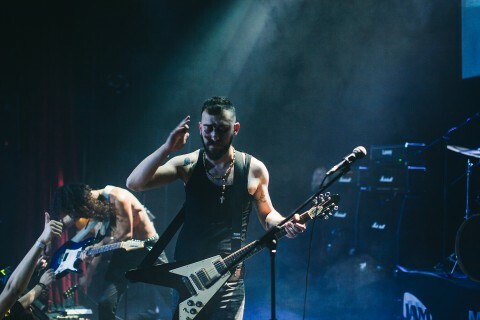 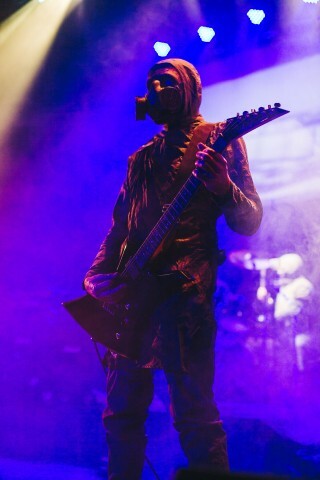 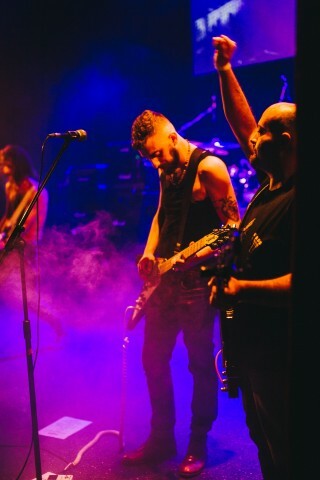 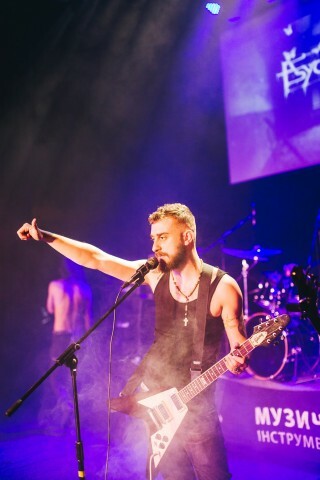 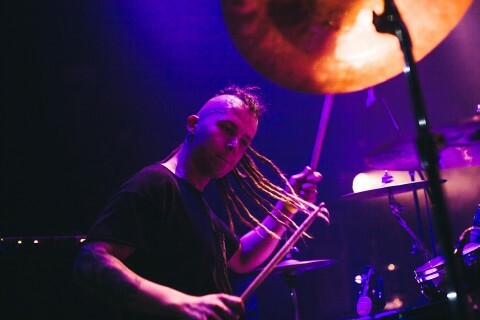 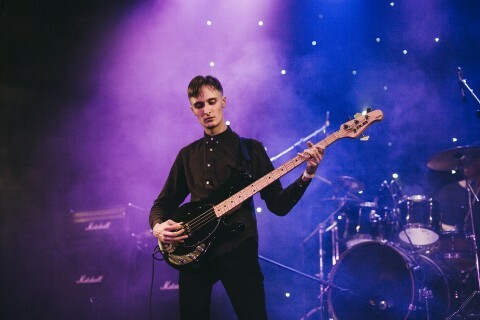 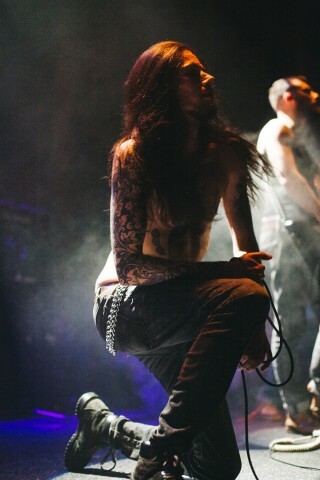 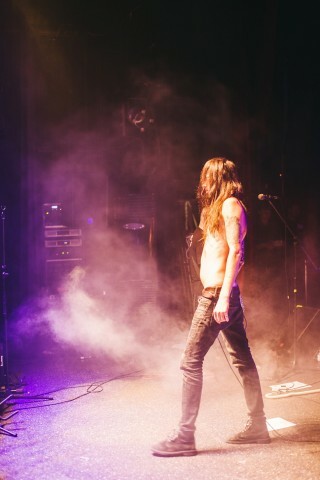 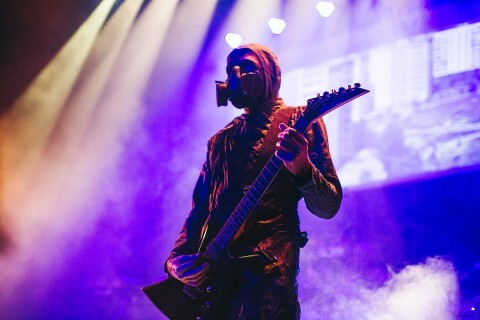 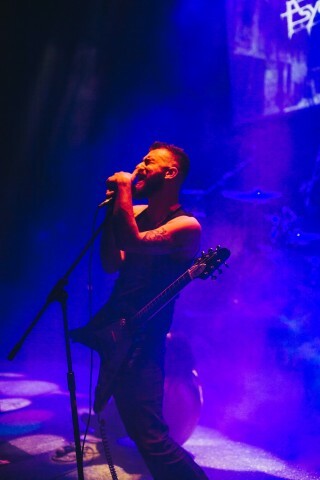 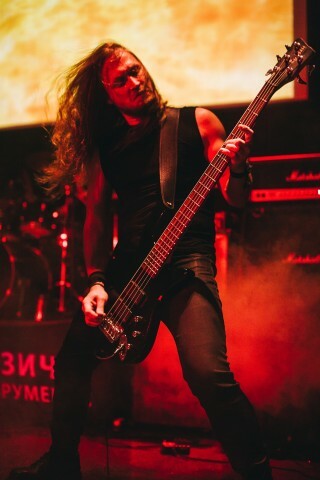 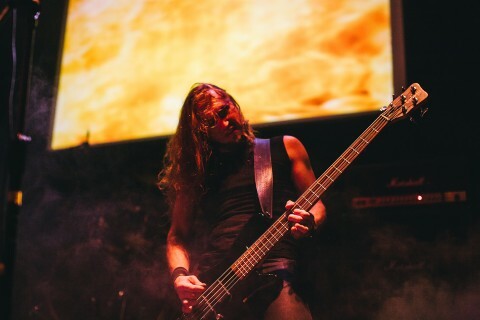 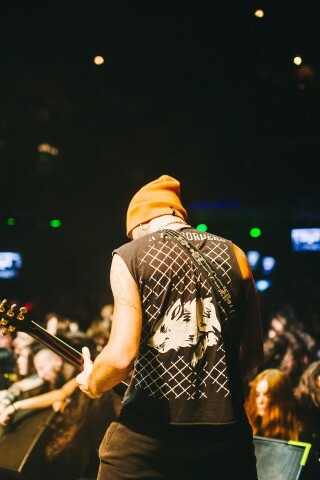 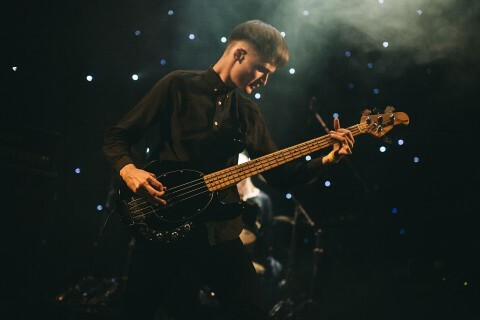 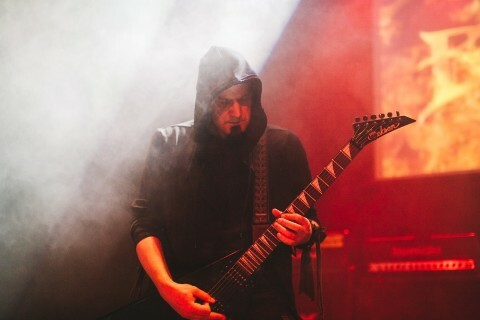 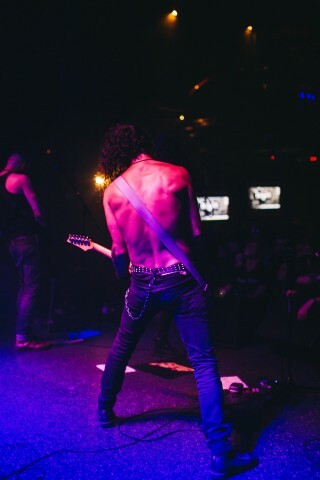 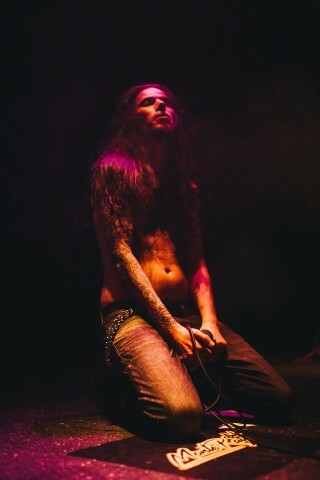 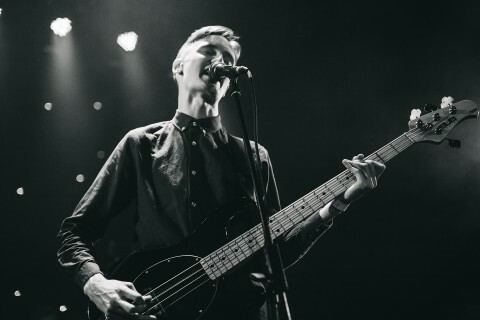 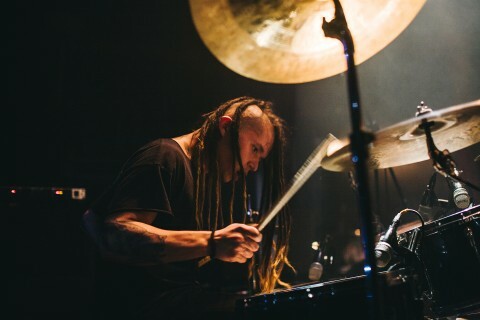 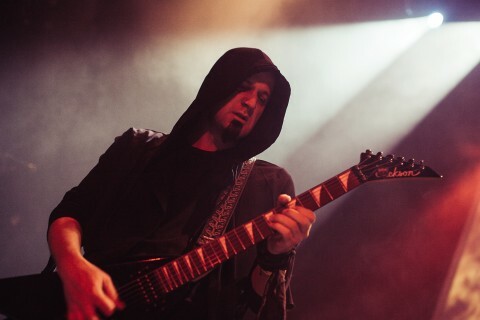 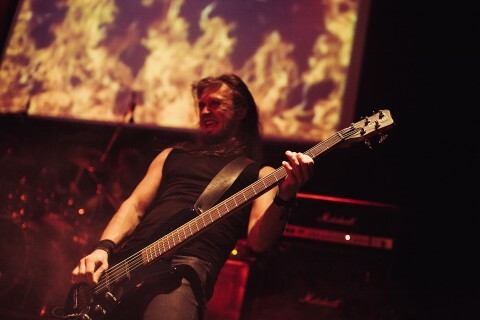 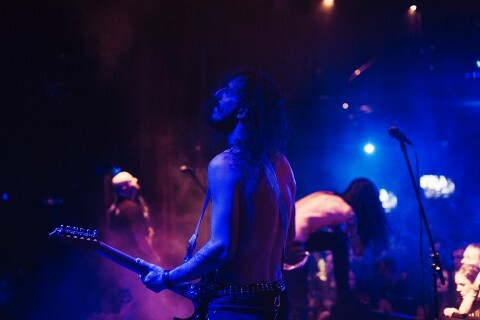 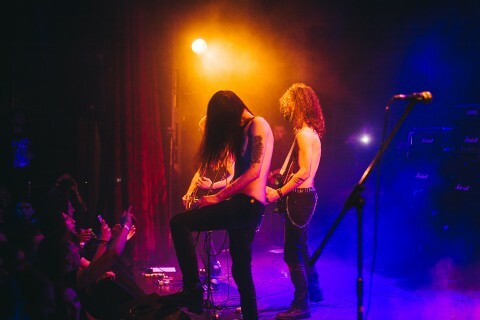 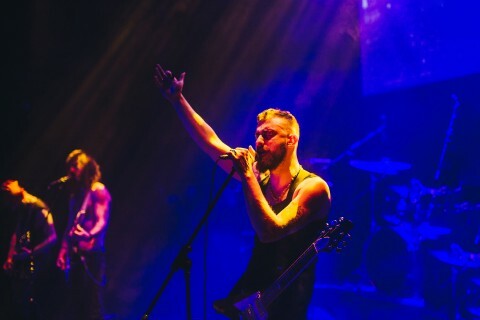 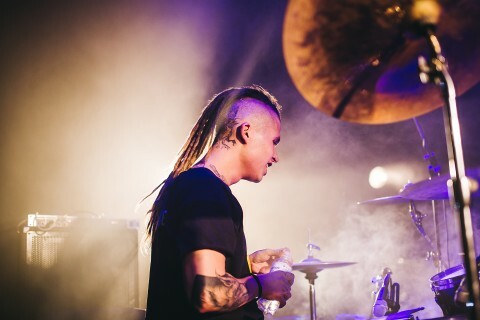 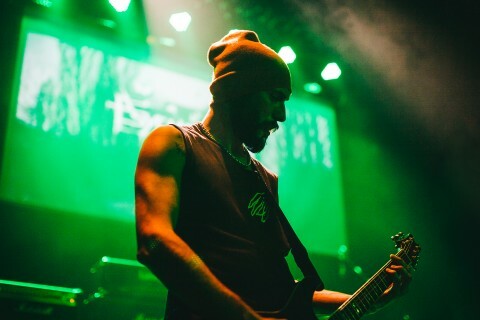 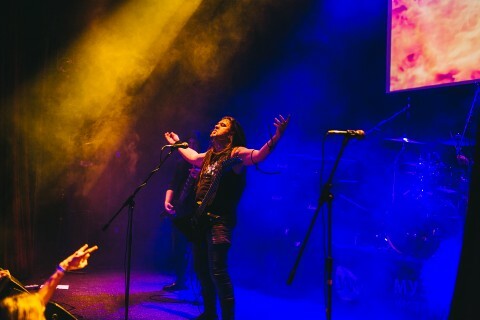 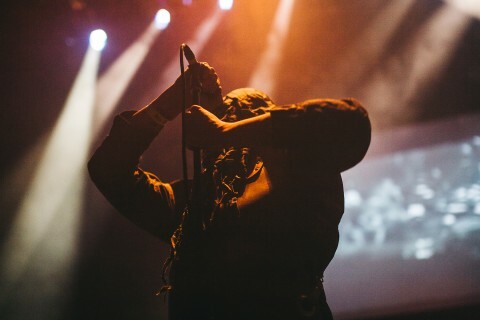 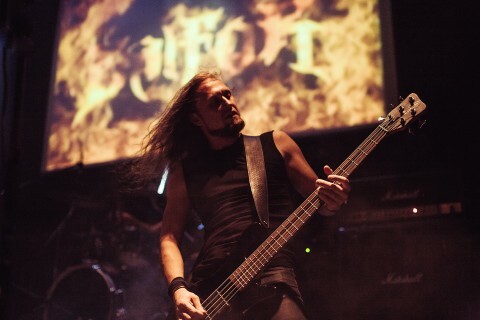 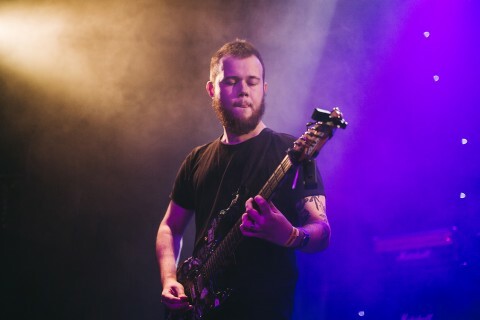 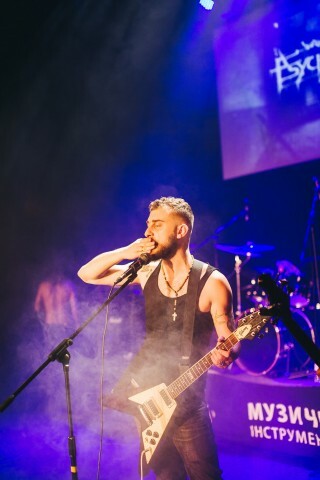 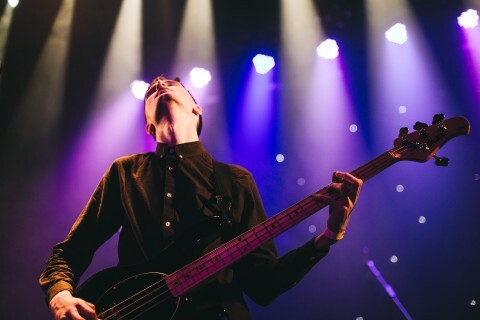 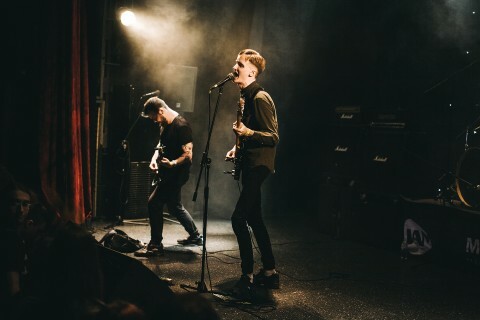 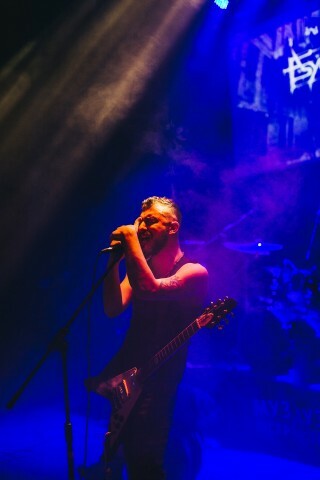 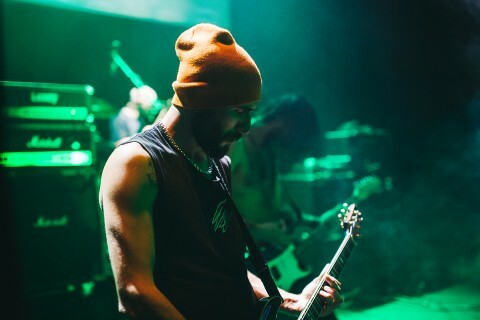 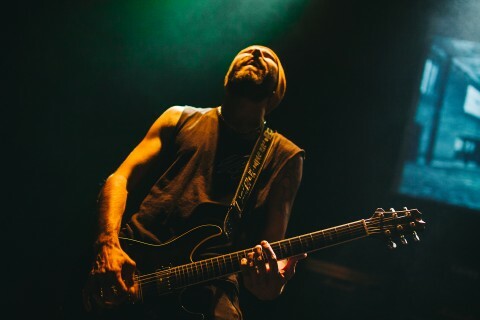 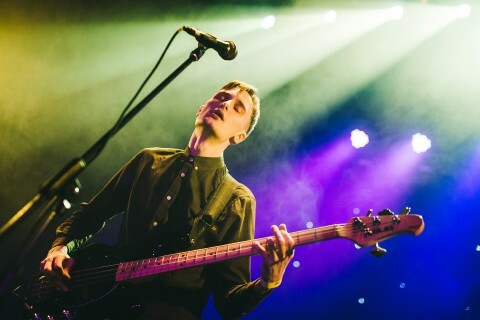 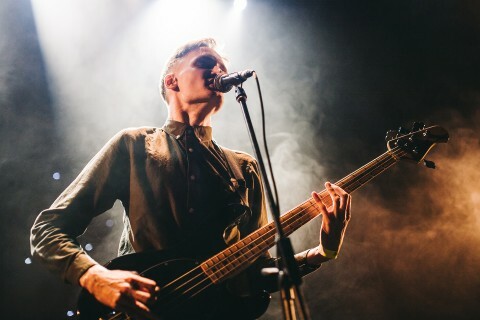 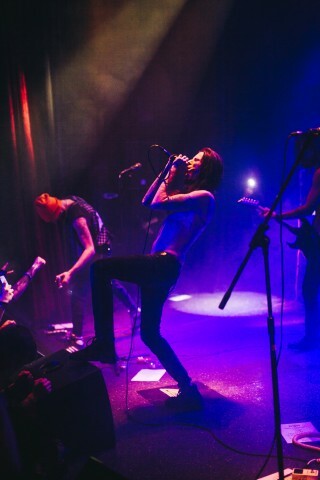 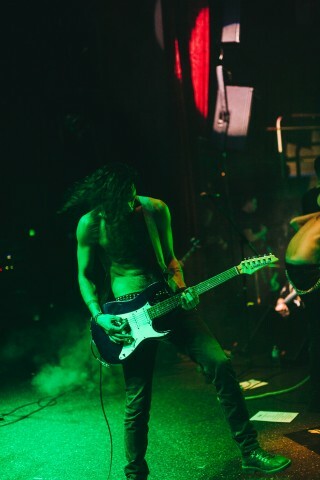 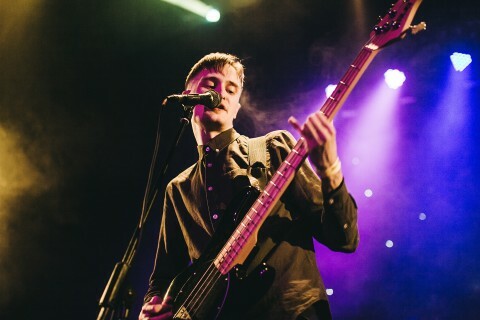 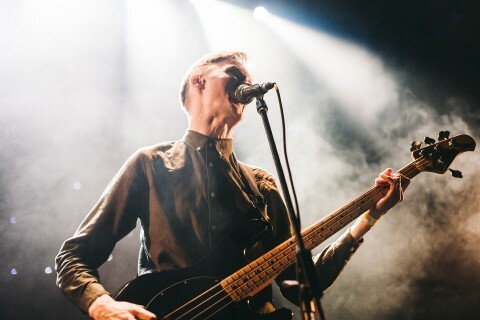 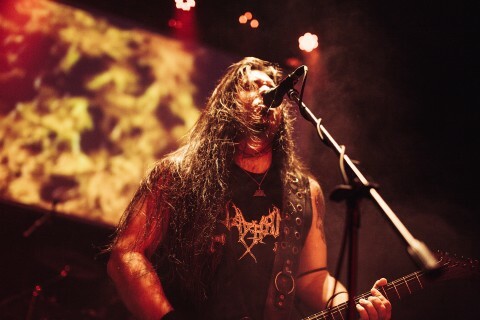 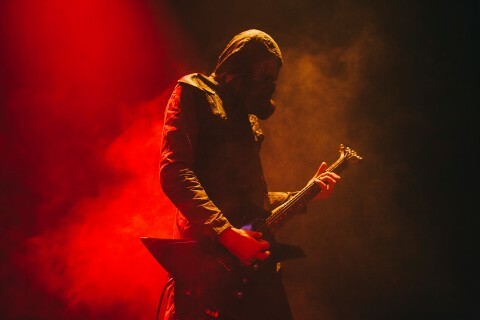 Since the majority of the band members spent the entire concert fairly static, just playing the instruments and not interacting with each other or the audience, the vocalist of the band Zhoth (who knows how to behave on stage and keep the attention of the public very well) was in charge of creating the show. 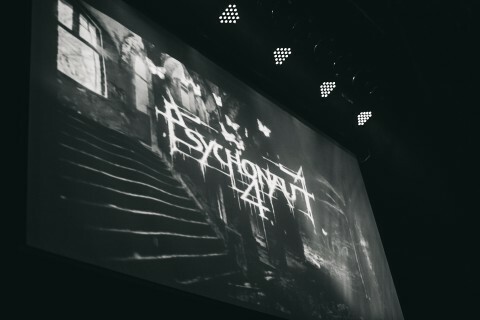 The performance also incorporated visual elements as well; stage images and videos playing on a screen of creepy footage, which sometimes made one feel uneasy. 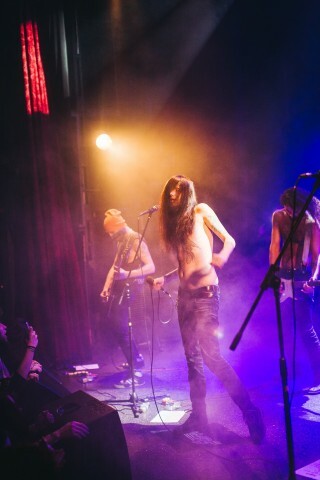 For the record, KZOHH and Psychonaut 4 gathered the biggest amount of viewers that evening. 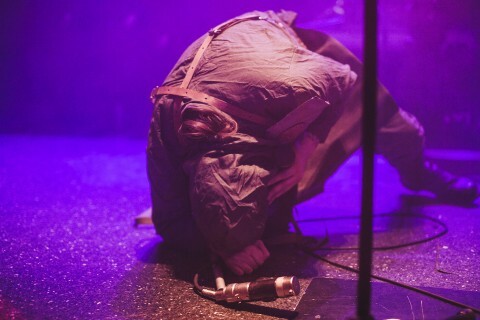 Against such a vigorous performance of Nödutgång:Självmord and a furious gloomy show of KZOHH, and later the hysterically depressed set of Psychonaut 4, Balfor, to be honest, was noticeably out of the general line. 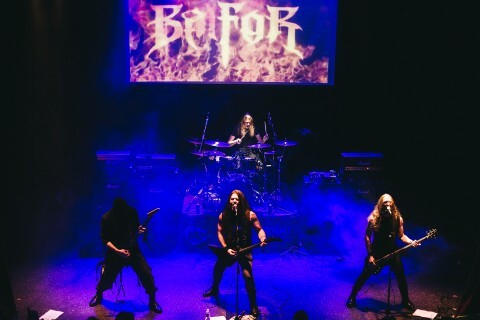 Without claims to the group itself, I personally didn’t quite understand the motivation for their inclusion in the festival’s lineup, as they aren’t included in the Ashen Dominion roster, and stylistically and thematically 'barbaric black metal' did not fit into the overall musical depressive atmosphere of the event. 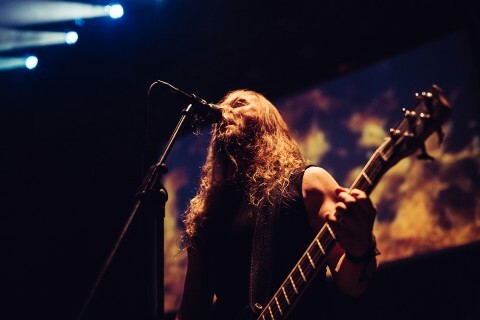 Even if they were added to achieve some kind of "a musical diversity" for such a lineup some doom metal act (which there are plenty of Ukraine) would fit much better. 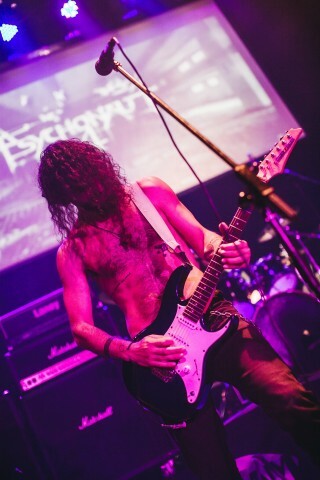 The songs and the very performance of Psychonaut 4 caused mixed feelings. 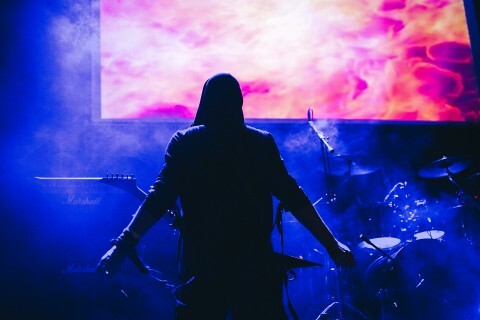 On the one hand, with your mind, you understand that what you see and hear is only a manifestation of creativity, a kind of continuation of decadence, rethought depressive moods, which have already been repeatedly demonstrated in art. 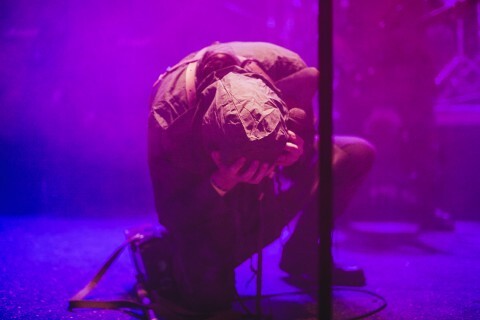 On the other hand, having immersed deep into the study of the band’s discography, it’s difficult to perceive them detachedly, without being imbued with music, that pain and despair which one can clearly see in lyrics and Graf’s emotional performing style, and not drawing some parallels between the songs of the group and one’s own experience and internal demons. 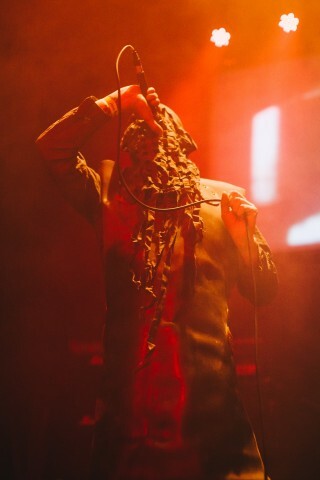 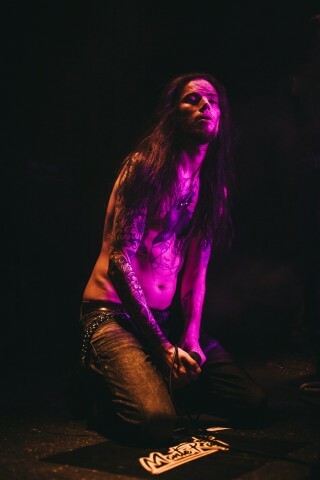 The main attention during the concert was concentrated on Graf, who sang, as he was on the verge, baring his soul in a figurative sense and in a literal body in front of the audience. 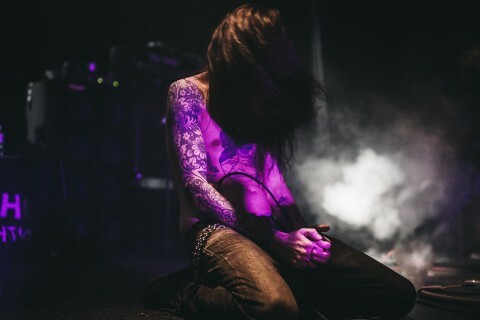 His cry, the twisted pose while he was sitting on a floor, a vacant look as though he was anywhere else but performing — made a strong impression. 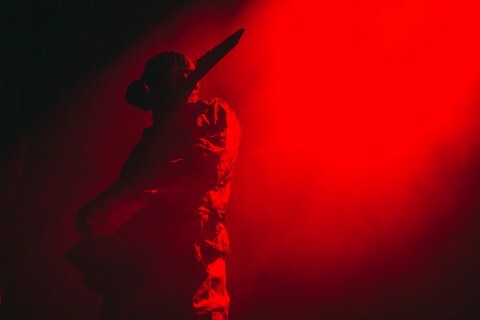 During the performance of the final track, he left the stage silently without saying goodbye to the audience. 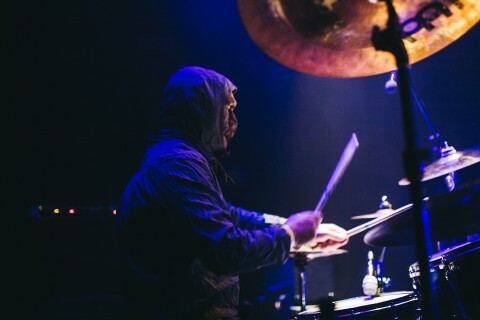 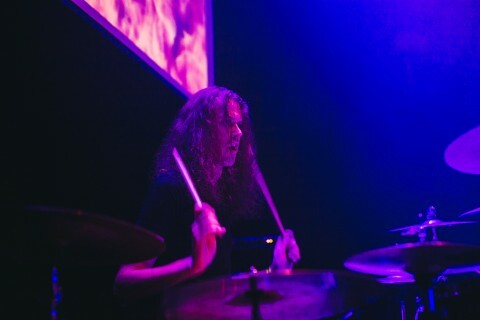 The pulse of Psychonaut 4 is its drummer, whose excellent sense of rhythm and musicality is the perfect connecting component of the other, sometimes quite chaotic elements of the band. 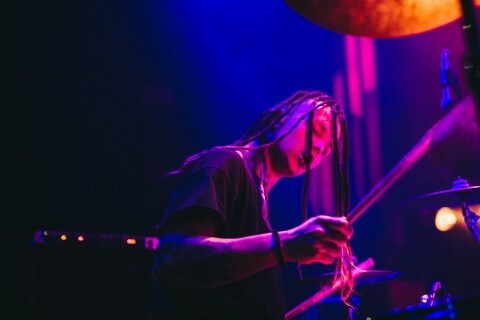 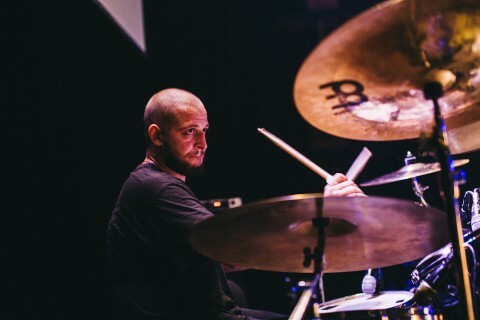 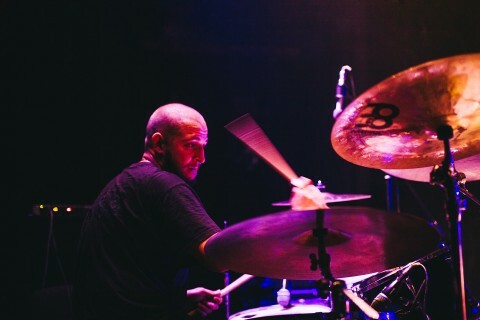 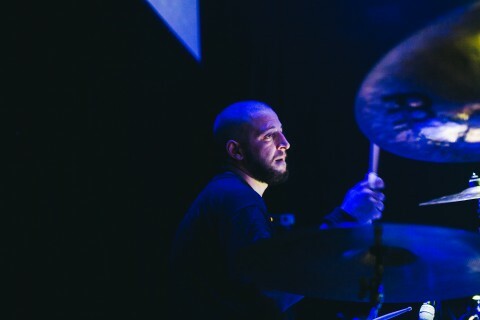 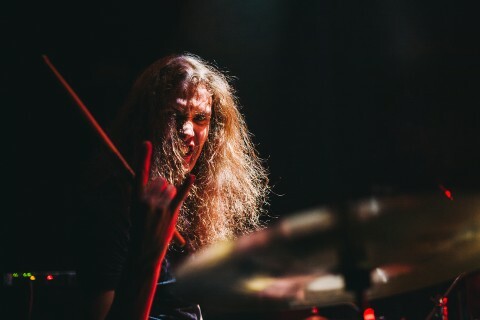 It doesn’t matter whether he plays blast beats, slow sections or breaks — he does it very technically and professionally. 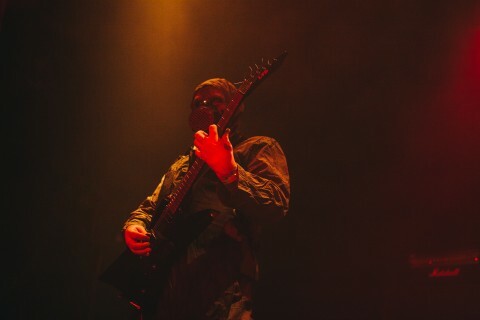 Dynamics to the show were added by guitarists who are constantly swaying and moving around the stage whilst being on the same wavelength with each other. 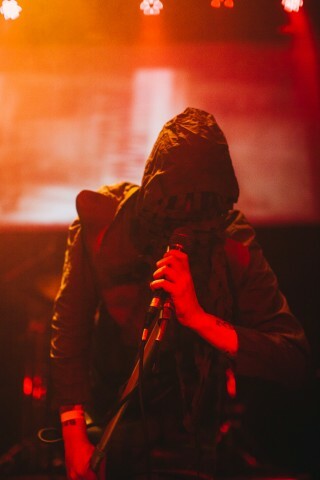 Comparing their previous live gigs, it seemed to me that Psychonaut 4 conjure their best during more intimate performances, as they can more closely interact with the public. 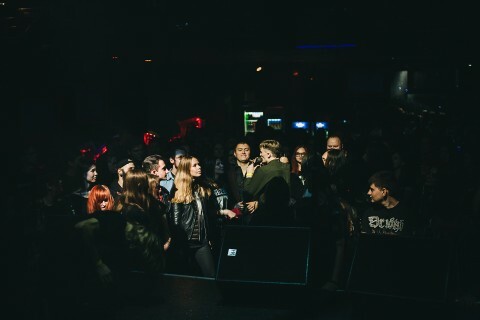 The cozy slightly cramped MonteRay (because of the number of people in P4 T-shirts) was the best pick for hosting the band’s show as possible. 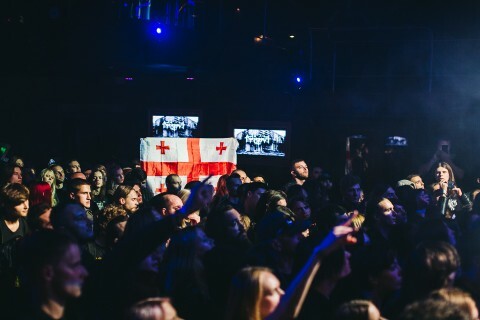 In general, it was a good festival, which showed an admirable and watch worthy Ukrainian lineup (thanks to which I rediscovered Nödutgång:Självmord and enjoyed KZOHH’s show), as well as interesting headliner who can boast strong support from Ukrainian fans. 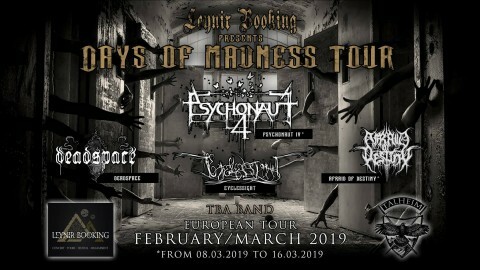 Catch Psychonaut 4 next year on their European headline tour! 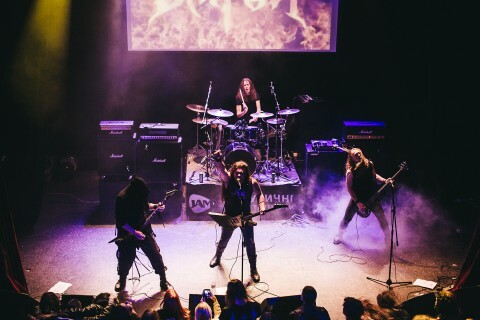 Check Ashen Dominion's releases here.